Our vast options and rigorous printing process makes PrintRunner the ultimate one-stop shop for custom stickers and more. No matter the occasion or reason, we can help you print custom stickers that fit your needs. Here you’ll find every type of sticker including bumper stickers, custom vinyl stickers, die-cut stickers, and more. If you have a specific size in mind, our cut-to-size stickers will allow you to specify the width and height. We even offer waterproof stickers so you can stick them on items that are expected to get wet such as beer labels or bath products. Wtih our wide selection of stickers, we make your choices easier. Our printed stickers also come in different shapes and can be printed with matte or gloss (in some cases, high-gloss) coating. Q: Why should I print Stickers with PrintRunner? 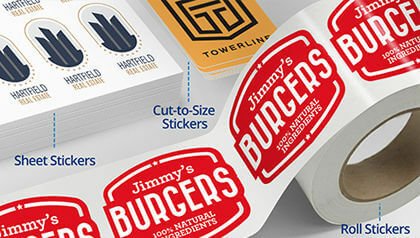 A: Printing stickers with PrintRunner allows you to fully customize your orders through our state-of-the-art design tool. This tool allows you to preview your stickers before printing it. In addition, we also provide Free Design Proof that allows a real person to review your sticker order and suggest improvement (Logo, Sticker Design, and More) on the design if any can be found. We take pride in the quality of our stickers through the paper and print inks we use. Stickers with PrintRunner uses strong adhesive for the best performance for Home and Business use. Q: What kind of Sticker should I get? A: We offer different kinds of stickers to suit personal or business needs. Q: How many Stickers should I order? A: The number of stickers you need depends on the purpose you have for stickers. You print stickers for as low as 25pcs to as much as 50k. Q: What type of Paper Materials available for Stickers? A: We print Stickers in 4 different Paper Materials. Quality paper to make stickers last. 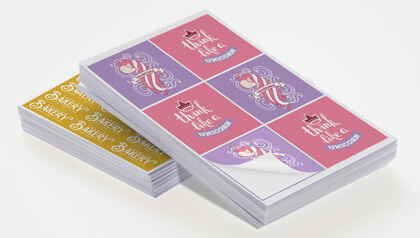 White Paper Sticker - Gloss Self-adhesive sticker paper with a gloss finish. Not waterproof. Can be written on with a permanent ink marker or ballpoint pen. 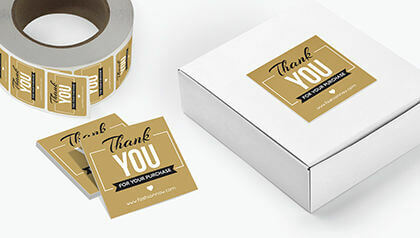 White Paper Sticker - Matte Self-adhesive sticker paper with a matte finish. Not waterproof. Can be written on with a permanent ink marker or ballpoint pen. 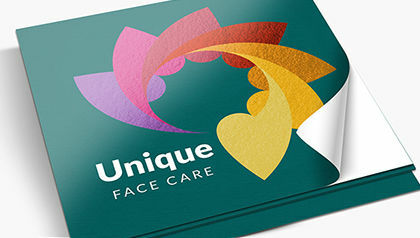 White Paper Sticker - High Gloss Self-adhesive sticker paper with a mirror gloss finish that is also UV-resistant. Not waterproof. Not recommended for writing. White Vinyl Sticker - High Gloss Self-adhesive waterproof vinyl. UV-resistant and great for indoor/outdoor use. Not recommended for writing. Q: I dont like where I place my stickers, How can I remove them? A: Removing stickers and its residue can be difficult. You can use these steps to cleanly remove stickers from any surface. 1. Pry up the corners first with a thin tool like razon blades or scrapers (Use the proper tool for the surface). 2. Lift the sticker slowly from the loose corner. 3. Use the thin tool and run it under the sticker slowly. 4. Continue pulling and scaping the sticker until it comes off. Q: How much does Stickers cost? A: Sticker cost starts at $7.18 for 25pcs per order. Q: Are there Free Sticker design templates available? A: Yes. You can see the free design templates under each type of sticker. Q: Are my orders available for Free Shipping? A: Any sticker orders above $39 comes with Free Shipping. Q: When can I get my stickers? A: Stickers are ready for shipping as early as the next business day upon completing the checkout and proofing. Q: I want to order stickers now, How can I print online? Use the Product Calculator to choose the specifications of your Custom Stickers (Sticker format - Cut-to-size, Roll, or Sheet, Shape, Type of Paper, Colors, and Quantity).